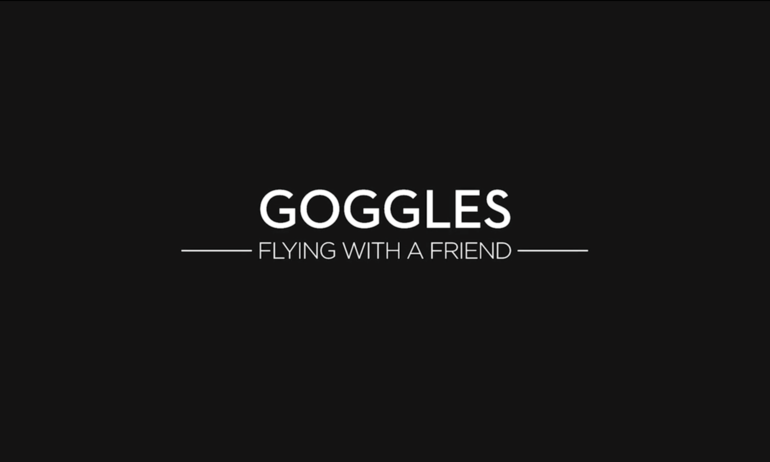 1.What is the correct way to put on and wear the DJI Goggles? 1. Insert the headband buckle into the slot above the lenses until you hear a click. Check that it has been fastened securely. 2. Align the lenses over your eyes and pull the strap down. Adjust the strap knob until the headset fits snugly and comfortably on your head. 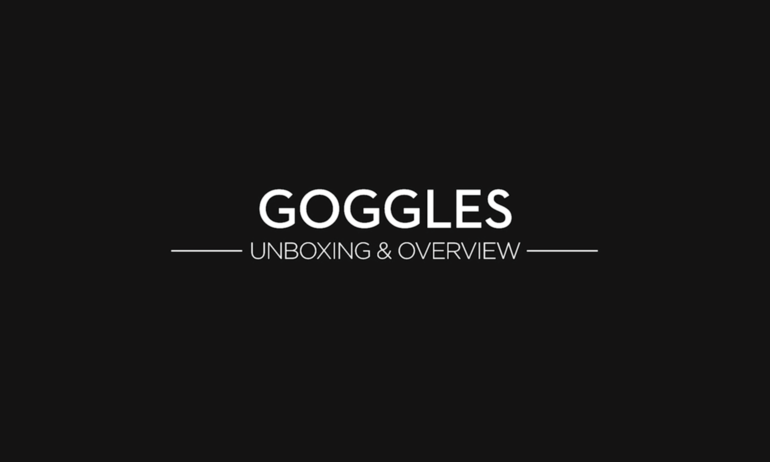 2.Can I wear glasses while using the DJI Goggles kit? 3.Are the DJI Goggles water-resistant? 4.How do I adjust the interpupillary distance (IPD) between the lenses? What pupil distance will suit me best? 5.How do I avoid touching the touchpad by mistake? 6.When pressing and holding down the power button, my DJI Goggles sometimes only work sporadically. Why? 1.Are DJI Goggles compatible with the Mavic 2? Yes. Please first activate DJI Goggles and update the firmware to version 01.04.0500 or above on your computer using the appropriate version of DJI Assistant 2. Power on the DJI Goggles, choose Linking in Settings, then choose Mavic 2. Press the link button on the Mavic 2 and wait for a few seconds to connect DJI Goggles to the aircraft. *To download the version of DJI Assistant 2 that is compatible with DJI Goggles, please visit: https://www.dji.com/dji-goggles/info#downloads. 2.How many DJI Goggles can be connected to one Mavic Pro drone at the same time? 3.What happens when more than one pair of DJI Goggles / remote controllers are connected to the same drone? In Coach Mode, only the master remote controller can change the flight mode. The drone starts to respond to the slave remote controller only when the master remote controller doesn't give any commands for more than two seconds. The master remote controller can override anytime. In Dual Operation Mode (one drone + two DJI Goggles + two remote controllers), the slave DJI Goggles will not support Head Tracking Mode. If the remote controller and DJI Goggles are being operated by the same user, a spotter who is able to give instructions and warnings is required to ensure safe flying. 4.What DJI drones are compatible with the DJI Goggles through USB cables? Mavic Air, Spark, Phantom 4, Phantom 4 Pro, Phantom 4 Advanced, and Inspire 2. 5.What devices can be connected with the DJI Googles using the HDMI connector? 6.What is the Micro SD Card slot on the DJI Goggles used for? 7.Can I download videos not recorded by a drone to a Micro SD Card and then insert them into the DJI Goggles to watch them? 8.What are the main differences between HD Mode and Smooth Mode? 9.Why does the video transmission image quality in my DJI Goggles sometimes change? 3. When video is recorded at 1080p or below, depending on whether the frame rate is higher than 30fps or lower than 30fps, the max video transmission resolution will be 720p/60fps or 1080p/30fps, respectively. 10.What is the difference between the DJI Goggles 1080p screens and other 2K screens? Typical “2K” screens inside other brands of goggles are split into two 1280x1440 sections, one for each eye at 720p. The DJI Goggles use dual 1080p screens, meaning that each screen has a maximum resolution of 1920*1080. 11.What kind of latency is there when the DJI Goggles are connected with different devices? 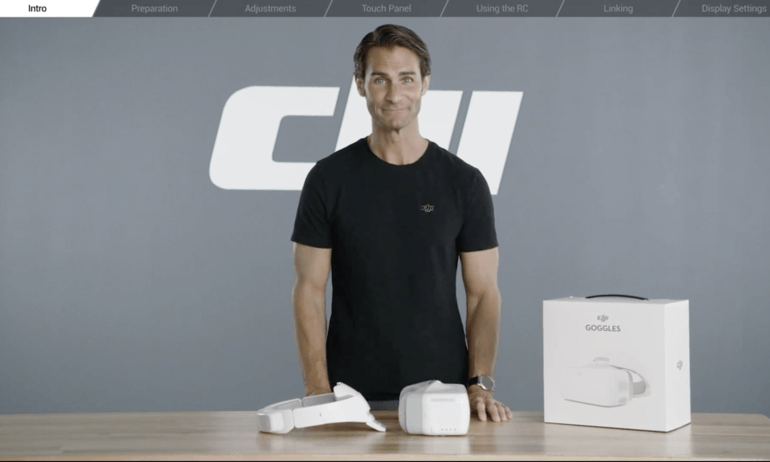 12.How do DJI Goggles provide stable wireless video transmission? 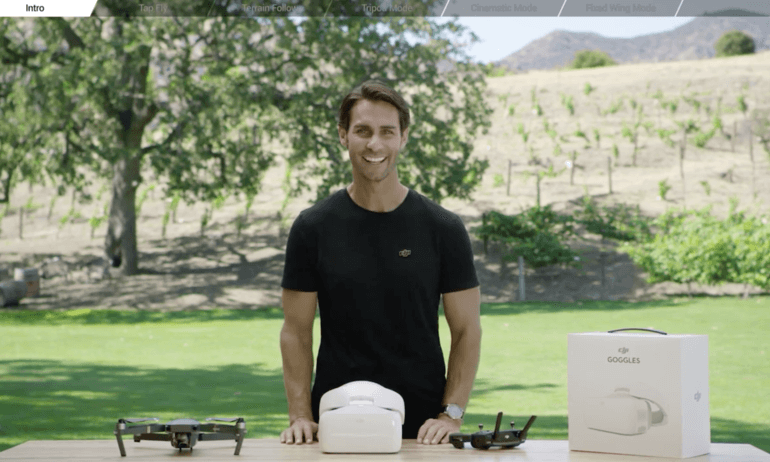 Using DJI’s OcuSync wireless transmission system, DJI Goggles link with the Mavic Pro with a transmission range of up to 7 km (when FCC-compliant). Four antennas built into the body and headband provide signal detection in all directions, staying connected to your drone even when it’s behind you. 13.When connecting multiple remote controllers and a pair of Goggles to a Mavic, if the connection between the Goggles and the Mavic is interrupted, what will happen to the connection between the remote controllers and the Mavic? If the Goggles are powered off or disconnect from the Mavic for 30 seconds, the remote controller connected to the Goggles will automatically connect with the Mavic. This remote controller will be able to control flight, but won’t transfer live video to the DJI GO app. 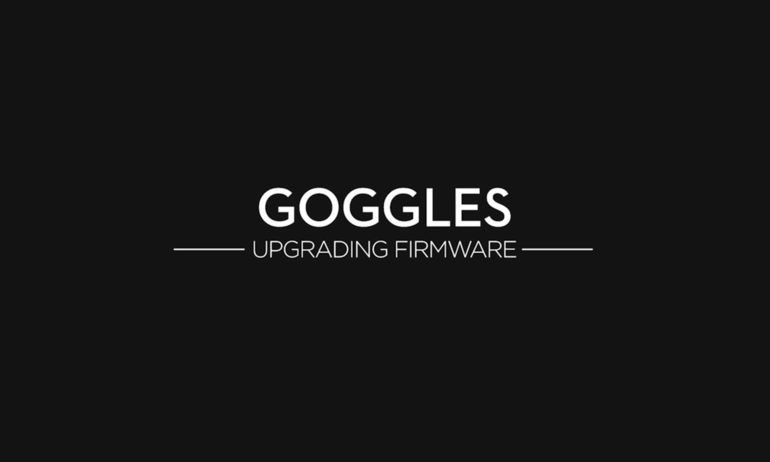 1.How do I update the DJI Goggles firmware? 1. Directly connect your DJI Goggles to a PC. 2. Pair your remote controller, drone, and DJI Goggles before connecting the remote controller to a PC, and update all three devices together. 3. Pair your remote controller, drone, and DJI Goggles, then connect the remote controller with the DJI GO app (or GO 4.0) to update the three devices simultaneously within the app. 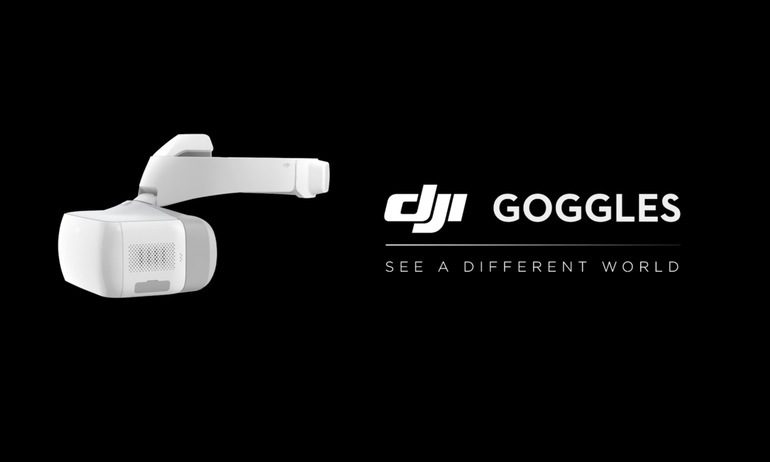 1.Do the DJI Goggles offer the same functions no matter what device they're connected to? If not, what are the main differences? 2.Why does a drone connected to the DJI Goggles keep rotating in Head Tracking Mode even when I have already stopped moving? In Head Tracking Mode, a drone's yaw depends on the pilot's head movements. If the pilot doesn't stop where he began, the drone will keep rotating until the pilot turns his head back to the original position. 3.Why do the C1/C2 buttons on the Mavic Pro controller stop responding when the drone is connected to the DJI Goggles?